Today Kish is going to travel north for a short visit with Russell, and she’s bringing along a care package of sorts: a box filled with some vintage candies and a bag of peanut-butter-and-chocolate buckeyes. It’s the kind of gift that helps to warm a cold winter’s day. 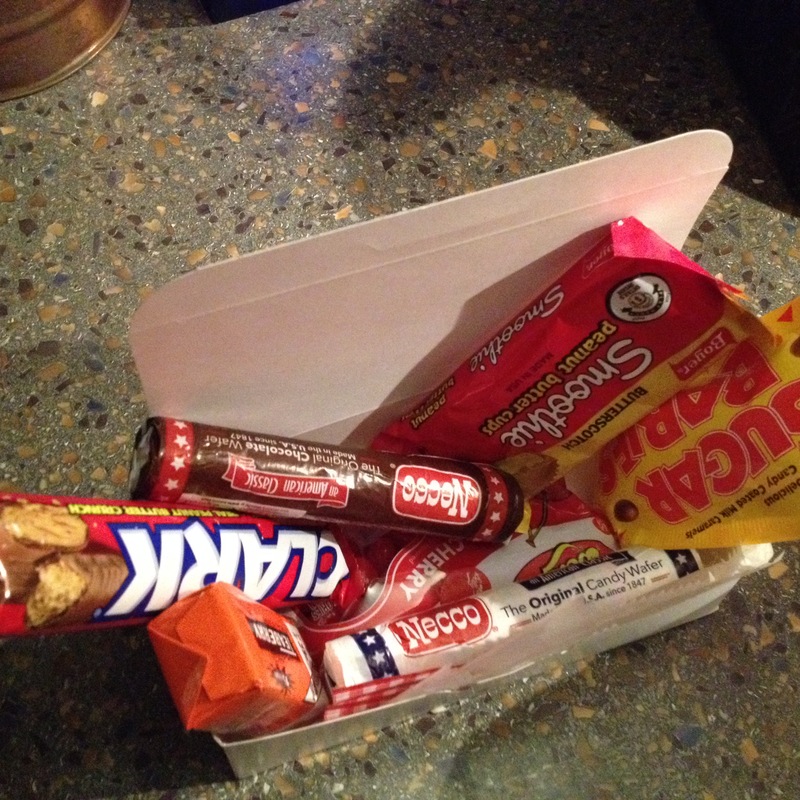 I’m guessing that Russell will enjoy dipping into this candy care package. This entry was posted in Columbus, Family, Food, Growing Up and tagged Bonamo's Turkish Taffy, Candy, candy cigarettes, Chuckles, Columbus, Family, Food, Growing Up, Necco Wafers, Schmidt's Fudge Haus, Teaberry gum by webnerbob. Bookmark the permalink. now i’ll have to gop test the voluteers.